The holidays are a time for us to gather with family and friends to celebrate. For better or worse, with celebration comes food. If you have been working very hard at eating healthy, losing weight, or maintaining your weight, this may be a difficult time for you. 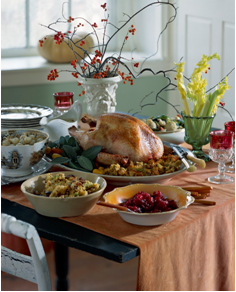 The last thing we want to do is over-indulge in all the delicious food that surrounds us during the holiday season. What are some things you can do to avoid over-eating and sabotaging all your hard work? One of the biggest mistakes you can make before heading to a party is to skip a meal or arrive hungry. By eating a light, healthy snack before leaving your own house, you can set yourself up to make better choices. Try a low-fat yogurt, fresh fruit, or a small bowl of whole-grain cereal with skim milk. If you are hosting the party, you have control of the ingredients that are added to the favorite holiday recipes – but as a guest, it is not as easy. However, just because you are a guest does not mean you cannot offer to bring a healthy, low-fat dish to add to the selection. Most hosts will welcome an additional dish, and the other guests may enjoy having a healthier option to choose. Consider a simple dish like roasted string beans, or if you offer to bring dessert, consider a pumpkin pie without the crust or baked apples. The first thing you should do is remember what the celebration is about. Your mind should be focused on enjoying the time with your family and friends. During mealtime, fill your plate up mostly with vegetables. Try not to over-indulge, but you should not feel like you have to avoid any item. Choose items that are your favorite in smaller portions, and eat slowly to savor every bite. Avoid drinking beverages that are high in sugar and calories, or at least limit your intake to a single drink. Alcohol adds extra unwanted calories and, if too much is consumed, it lowers inhibitions, which can lead to overeating. Try consuming water with a lemon or lime, skim milk, or diet / sugar-free beverages. One great way to avoid snacking throughout the party is to plan fun activities to participate in with other guests, such as games or making crafts. If it is available, set up a tournament with a gaming system that is interactive. That is a great way to burn some calories and avoid the buffet of snacks sitting out on the counter or table. This time of the year should be enjoyable. However, you need to keep physically active, maybe now more than ever. Physical activity reduces stress and gives us more energy. Try fitting in a workout before the party because, more likely than not, you will be tired from all the celebrating afterwards. During the party, go on a brisk walk with some of the other guests or, if there are children around, toss a ball outside. This can give you a burst of energy and a chance to catch up. If you like participating in races, sign yourself up for a seasonal 5K run/walk or some other fitness event that will keep you focused and motivated to stay active. Remember: The holidays are for celebrating with family and friends. If you must splurge one, two, or even three days during the holiday season, then that really is not going to ruin all of your hard work. It takes an extra 500 calories each day, or 3,500 calories a week, to gain a pound. All the extra snacking can really add up, but you can easily pass up all the treats in the office and keep goodies out of your own home. If you do this, you can feel good allowing yourself to enjoy the foods you look forward to every year. This recipe can be made one week in advance. Bring it to room temperature before serving. Serve with the turkey instead of gravy. Makes 12 servings. Cook over medium-high, stirring frequently for 20 minutes. Recipe Developed by Nadine Day, Reprinted with Permission from The Heart and Stroke Foundation. Research shows that we often eat more when we are presented with larger amounts of food. Over the past few decades, portion sizes have dramatically increased. Remember seven-ounce soda bottles? Those had 85 calories. Compare that to the 250 calories in the twenty-ounce bottles that are now available. 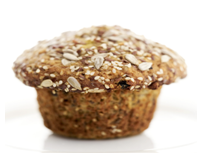 Today’s muffins are so large they make muffins of years past look like mini-muffins. Know your numbers. Start by calculating how many calories are right for you. The Mayo Clinic has an online tool to determine your daily calorie needs. Focus on nutrition. Go for larger amounts of vegetables and fruits that provide a hefty dose of nutrients, such as vitamins, minerals, antioxidants and fibre, without a lot of calories. Eat smaller portions of higher calorie foods, such as sweets or foods that have high amounts of added sugar and fat. Understand serving size vs. portion size. A portion is the amount you choose to eat. A serving is a precise amount of food defined by cups, ounces, grams, or other measurements. Eat mindfully and enjoy your food. Many of us eat for reasons besides hunger. Happiness, sadness, and stress can all lead you to eat too much without realizing. There is a medicine that is proven to strengthen your immune system, boost your energy, reduce your pain, and help diminish stress. Even better, it’s free and comes naturally; it’s laughter. Humor is a wonderful thing. We are born knowing how to laugh; infants often smile only weeks after birth and begin laughing after several months. When you laugh, your body relaxes, which eases physical tension and stress. Laughter also increases the amount of “feel-good” endorphins in your body, as well as the number of immune cells and antibodies. Believe it or not, it can even reduce pain. All too often, we forget to laugh when going through tough times. When a family member receives a painful diagnosis or you struggle with daily tasks, it can be difficult to find humor in anything. Some-times, having someone to laugh with who can help you with your challenges is just what you need to start feeling healthy and happy again. If laughter is already part of your life, share it with a loved one in need. Giving care is more than helping with a person’s daily activities; his/her health and happiness are also important. By incorporating humor into your caregiving, you can lift the spirits of your elderly or chronically ill relative.